Social learning is about community, collaboration and sharing knowledge and in that space, new ideas flourish and learning problems are solved. Many learning and development professionals have certain misconceptions about social learning, and these misconceptions could hold them back from incorporating it in their strategies. The reality is that social learning has been around for quite some time even before enterprise tools such as Slack came along. People have been seeking out ways to connect with and learn from others all through the ages. Albert Bandura theorized that people learn from one another, via observation, imitation, and modeling. As old a concept as social learning is, the learning and development field is still trailing behind when it comes to understanding and implementing it in learning strategies. There are an array of articles from L&D professionals talking about the benefits of social learning. These articles, however, fail to teach it as a strategy on its own but focus on connecting individuals to various enterprise social networking (ESN) platforms. Social learning didn’t come on to the scene when ESNs were introduced. It has always been about connecting and transmitting knowledge employees possess at their fingertips in the work or learning space informally. It is something that happens naturally, and it should be encouraged not mandated or dictated. Hastily incorporating enterprise tools or forcing participation in online forums that might not have any context might defeat this purpose. The years of formal education and training programs that instructional consultants and trainers don’t quite work now. Today, with so much information already within a person’s grasp, classroom learning or online course learning alone are no longer as effective. The reality is that social learning changes the game. It changes how people work, connect and learn from one another in a company, and it changes the learning and development role, as people have grown accustomed to it. This could spell amazing things for the learning and development field. Social learning can mean a whole host of things for different individuals depending on who you’re speaking with. For instance, a non-profit company may see it as community learning with social impact. For those in academia, the focus may be on defining the theories. 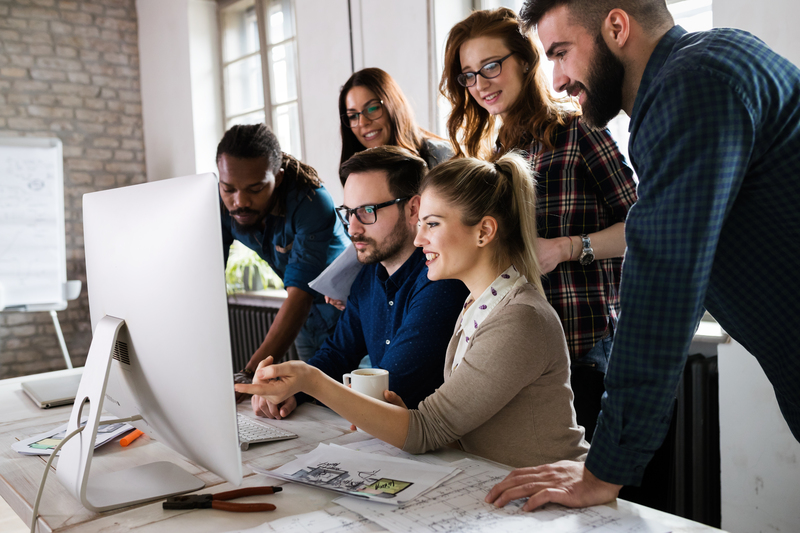 The learning and development professionals may put their attention on ways and tools to get employees to learn and collaborate in the business. It can get confusing when people try to define what social learning is along with what it looks like – more so when words like, “communities of practice”, “personal learning networks” and “community management” are thrown in. Some may try to determine how to measure, control and use social learning – as if it was any other training tool. They tend to ask what social learning is – a course, behavior, system, process, tool, etc. It cannot be dictated so easily. According to Jane Hart’s Social Learning Handbook, it simply means people are connecting and learning from each other on an everyday basis. Most people naturally jump at the chance of social learning without it being ordered or pushed. For people in L&D, the fact that this learning strategy requires so little control and supervision is a bit of an alarm. If the staff control learning, what role do the learning and development professionals then have? Social learning does not invalidate formal learning; it reinforces it by encouraging discussions about what was learned in the classroom or from online courses. It does not take jobs away from L&D professionals; it only makes the job easier as the burden of engaging a learner is shared with peers. Many learning and development departments have a problem with coming up with a social learning strategy because they do not do it for themselves. They are not taking the chance to learn from others. They are not using internet forums, using their company’s social networks or sharing their learning knowledge through activities like blogging. They are not working to see how their own strategy would influence them before turning it on others. Just doing a quick search on Google about how to develop a social learning strategy isn’t going to do it. Leaving it up to our learning management systems to come up with the strategy will not cut it either. It is all about people, not technology. Learning and Development professionals must go through their own personal learning journey for themselves if they are to understand the impact. They must also be social. They need to use new skills like network building, social collaboration, working out loud, content curation, community building and more for themselves. From their gained experience, they can guide the rest of their company along the same journey. Their role will now be assisting and inspiring learning to occur via work. Let’s say you have put into action a new social learning platform that uses various online resources, letting people rate, comment and share material. However, your staff is not using this information. The wrong question to ask is how a company can get their staff to use their ESN. Rather than focusing on the company’s system, it is important to look at how the staff is looking for, finding and sharing the current information, and assist them in improving this. Consider where the conversations are taking place and where your staff is making connections and meet their needs at these points. The social learning system is just one of several tools and platforms your staff can use to attain information, knowledge, and networks so they can do their job better. It does not have to be one designated platform. These are four common misconceptions learning and development teams have about social learning. By understanding these myths and dispelling then, you are on your way to correctly incorporating it to better your learning strategy and improve the overall employee learning experience.